The EU was originally the European Coal and Steel Community (ECSC) formed in 1951. The ECSC was created in the aftermath of World War ll. The idea was that countries that traded together and became economically interdependent would avoid conflict and not go to war. In 1958, the ECSC became the European Economic Community (EEC) and it expanded its areas of policy. The EEC effectively established a single European market. In 1993, the EEC changed its name to the European Union (EU) They established the European Parliament whose decisions overrule those of national governments in area of common policy. Border controls between EU countries were abolished and people could move freely throughout the member states, to live and work. The EU also established a single European currency, the Euro, in 1999. Some countries ceased using their own currency to use only the Euro those countries included; France, Austria, and Germany whereas countries such as the UK retained their own currency. The EU over time has progressed from a common economic area to almost being at the point of a Federal State. The EU has given member states increased bargaining power on the international stage. The majority of their citizens have been able to move about freely through the member states for employment and have received social security benefits wherever they are. Technically, this should all work fine but human plans don’t always go the way they were initially envisioned. When people have access to all the benefits other countries offer their citizens, you will see migration. Countries that are seen to be wealthier than other member states have seen increased immigration of people wanting to improve their living standards. The term ‘economic migrant’ has mainly been used for those coming from the so-called developing nations to the UK but not for those migrating between other European countries. 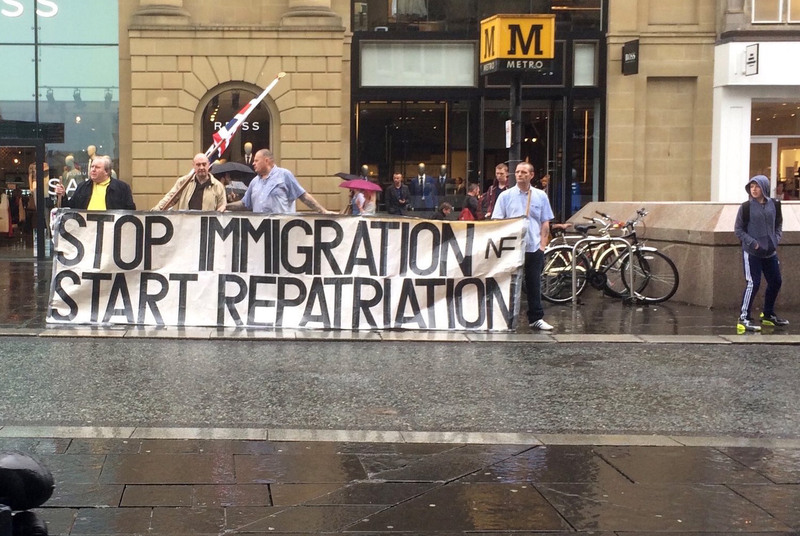 Within the UK, the far-right, nationalist element began to complain about the new arrivals, which has been typical across wealthier countries in Europe; far-right nationalism is on the rise. In 2013, approximately 3.4 million people migrated to the EU. The EU also currently has approximately 1.3 million refugees from war-zones across the Middle-East and Northern Meritah (Africa) seeking asylum. The far-right nationalists fear that, with the current open borders, a person could be accepted into Europe in Germany but end up receiving their country’s social security benefits. This leads one to wonder, who indeed are the Europeans and why the rejection of people from other European states? 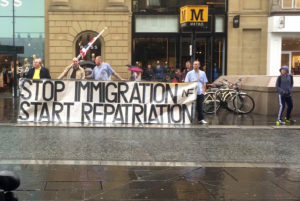 Within Europe, there is a population of people of colour who have been born and raised in European countries, and are not considered as European by the far right, and attacks on those communities have increased. These attacks vary from verbal abuse to individuals on public transport to physical attacks by gangs of White youth on Black and Asian people. Recently within the UK, there has been a significant increase of vandalism of mosques and synagogues, with the Muslim community experiencing a larger share of the attacks. Against this backdrop of discord, the UK has decided to debate whether to exit the EU (termed Brexit) or to stay. The UK has paid approximately £8.5 billion ($12.2 billion), in membership fees to the EU annually, making it the second largest contributor among member states. The global financial crisis, that started in 2008 and continues to date, has meant the introduction of austerity measures by the UK government. The UK government (just like the US Federal government) is spending more each year than it is collecting in taxes, which is known as “deficit spending”. Meaning that each year the UK (and the US) government is having to borrow money to maintain social security, military spending and pay government employees, etc. Austerity measures are the UK government’s attempts to reduce its spending, and “live within its means”, which have included cuts to the disability benefit, housing benefit, unemployment support and a range of other government programmes.These cuts have made a huge impact on the lives of many UK citizens. Those wanting the UK to leave the EU believe that the money spent on EU membership (£8.5 billion) would be better spent in the UK. One argument states that the UK gains very little from its contributions to the EU, and would be better off leaving the EU. In doing so, the UK would regain its sovereignty in areas where the EU operates. The opposing argument points to the gains that have been made such as free trade that creates jobs for millions of people in the UK and this would be put in jeopardy. There is also the notion that the leverage the UK has on the global stage, by virtue of being part of the EU, would be lessened. The European Union project has been building for 65 years and it has reached a tipping point whereby they will either dissolve back into nation states, or there will be greater centralisation of power towards a European federal government. Currently, this issue has been in the forefront of people’s minds as they look at the impact the vote to leave will have. 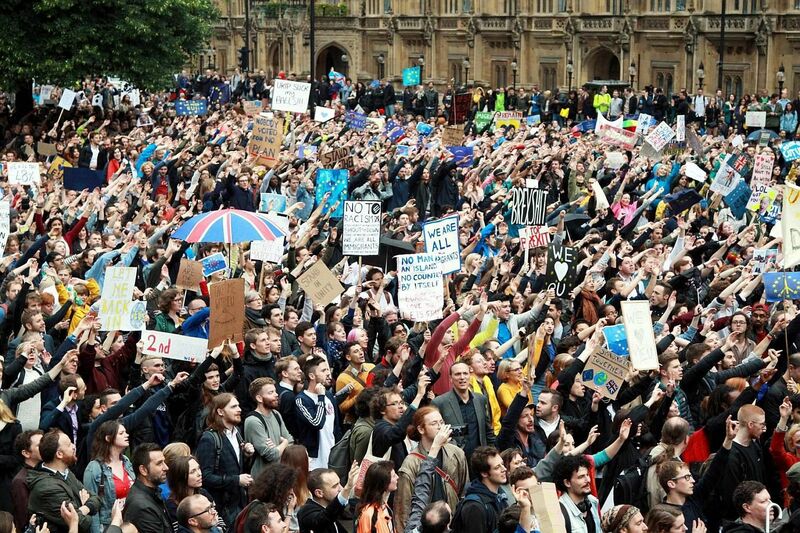 The group in favor of the UK staying in the EU (the Remain group) have been calling for a 2nd referendum to overturn the original result; there is a movement within the group to obtain a 75% turnout in voting, with the result obtained to be a 60% majority for it to be valid. 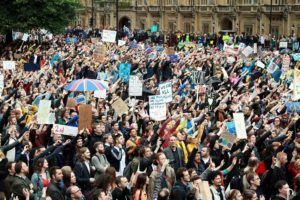 The emotionality of the Remain group was vitriolic in wanting to overturn the democratic process to obtain the vote they want. Some of those who voted to leave changed their minds as they saw the value of the pound decrease against the US dollar, stock markets panicked and shares went down. They saw armageddon occurring before their eyes. They woke up to deception of politicians and how they had misled the population with their misinformation and misdirection in the promotion of their point of view. The prime minister, David Cameron, announced his resignation and the opposition leader Jeremy Corbyn found himself in the middle of a coup as his ministers deserted him. People on the ground saw it as an opportunity to vent their racist rhetoric and violent tendencies, Britain woke up to overt racism, Polish communities were attacked, Mosques were vandalised, Black and Asian people experienced increased verbal abuse from the White community. Britain had to own the racism in its ranks that normally would have been denied. Families of the ‘minority community’ became fearful, and many from the white communities voiced their anger at the spectacle of racial violence in their communities that they did not want. The modern society has created many illusions for you to buy into: being rich, successful, fighting for your rights, individualism, and pleasure seeking. All these areas keep you externally focussed on any agenda they set for you, encouraging emotional and reactionary behaviour. There are no principles to enable any human being to improve their inner qualities. We are now witnessing the results of a society that does not have as its goal the evolution of the human being and the attainment of quality.The initial goals that the founding member states sought to achieve has not been realised. Instead, the populations of European countries have been encouraged to think of materialistic wealth as a way of improving their lifestyle and their ultimate goal, even at the expense of others. This has led to the belief that people who are considered materially less well-off are a parasitic presence. In times of economic crisis, the focus becomes one of hatred, division, exclusionary practices and the use of violence as an acceptable means of resolving the situation. To focus on the material benefits of remaining in or leaving the EU fails to address the real issues that are important to people. To enable a wider discussion to occur, a process would have to be in place to allow for a paradigm shift. It is this level of thinking that is woefully missing from the political agendas set by both groups.